Nutrigenomics is a scientific study of the relationship between the bodies breakdown of genes, nutrition and physical health. Every human body responds differently to certain nutritional elements and nutrigenomics helps determine which supplements benefit each unique individual’s genetics. A simple test can reveal specific genetic requirements and needs for optimal function and overall health. Why do clients need Nutrigenomics Testing? Millions of people are investing in supplements without knowledge or scientific proof of the nutritional benefits. Help determine each individual’s genetic-based metabolic needs. Cost efficient with effective results. Methylation regulates hormone function and helps to metabolize fat and cholesterol. Neurotransmitters are chemical substances that submit nerve impulses to other nerves, muscles or glands. Mitochondria generate chemical energy that our cells need to function properly. Detoxification process in the body. We carry only the best when it comes to supplements. 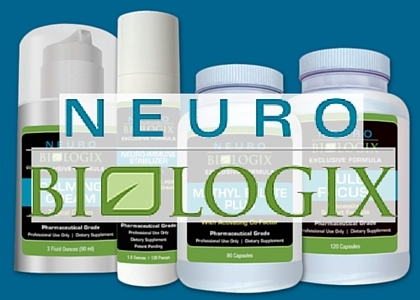 Pharmaceutical-grade Neurobiologix are made with top quality ingredients.